Is Your Dishwasher Not Washing Your Dishes Thoroughly? If you’ve been using the same automatic dishwasher for years, you might notice that, over time, the machine fails to clean every inch of your dishes. You might have to run them through the same cycle twice or clean them by hand, which defeats the point of owning a dishwasher in the first place. There are lots of reasons why a dishwasher’s performance can deteriorate. Find out why your dishwasher isn’t performing as well as it used to and how you can fix it. Are you having trouble with your automatic dishwasher? Contact us at Absolute Appliances Repair! Every automatic dishwasher comes with a filter that’s designed to catch large pieces of food and other items that the machine can’t break down. Make sure you keep the filter clean by emptying it out every week or so. Newer dishwashers are designed to work with enzyme-based detergents that eat away at foods instead of rinsing them down the drain. If you’re using the wrong type of dishwasher fluid or detergent, the machine might not be able to do its job properly. Many modern units will come with lots of different rinsing and washing cycles for you to choose from, including those for heavy-duty pots and pans, eco-friendly washes that use less water, and those for smaller loads. Try using a different cycle to see if it makes a difference. One of the most common problems people have with their dishwasher is that it leaves hard water stains on the glass, which can be extremely frustrating, especially if you’re having company over. You may need to use more water softener in your system to help get rid of the salts that cause these stains. Some automatic dishwashers aren’t made to last the test of time. Most models won’t last beyond twenty or twenty-five years, which means your current unit might be beyond repair. You can have an appliance repair expert help you decide if it’s worth fixing your older unit or if you should upgrade to a newer model. Find out how long you’ve had the current machine to see if it’s time for a change. If you’re having trouble with your dishwasher, let the professionals take care of the problem by calling Absolute Appliance Repair in San Francisco. We know how to repair all kinds of models, helping you get the most out of every cycle. Contact us today to book an appointment! https://www.absoluteappliancesrepair.com/wp-content/uploads/2018/06/comfort-control-cooking-213162-1024x684.jpg 684 1024 G4Bright https://www.absoluteappliancesrepair.com/wp-content/uploads/2018/10/absolute-appliances-repair-logo.png G4Bright2018-06-25 15:36:562018-10-09 22:28:27Is Your Dishwasher Not Washing Your Dishes Thoroughly? Is Your Refrigerator Using Too Much Electricity? The more your fridge has to run, and the greater the air displacement is, the more power it will use and the harder it’s going to have to work in order to cool your groceries down. When a refrigerator is empty, that air displacement is going to be high. Do be aware though, and be careful not to jam pack your fridge – having far too many items within it will limit the air movement too much, damaging energy efficiency. More and more power is used every time someone opens the refrigerator door, because warmer air from the outside replaces some of the cooler air on the inside. It takes extra power and extra work for the fridge to bring the temperature level back down. Try to make a habit of opening the door only when necessary; take all ingredients out all at once rather than separately. There is a small dial in refrigerators that control exactly how cold the temperature is set at; if you have it set too high, you’ll end up with a bunch of spoiled food. If you set your unit too cold, your food will be semi-frozen and you’ll waste money because your fridge will run too often. The recommended temperature for refrigerators according to Samsung is 37.4 degrees. It might be easy to just plug in your refrigerator and largely forget about it, letting it run until it dies years later. However, if you keep your eyes on a couple of things, you’ll find that it won’t use too much electricity and won’t die prematurely. Once every six months, unplug your unit so you can safely brush the condenser coils; if too much dust accumulates on the coils, it can cause your appliance to overheat, causing damage. It’s important that you keep watch over your refrigerator in order to ensure that it never uses more electricity than it should. When your unit uses the least amount of energy possible, it will also cost you less money on your energy bills and will provide you with many years of good, energy-efficient service. For more information on energy efficiency and your refrigerator, or if you are ever in need of quality appliance repair, contact our experienced professionals at Absolute Appliances Repair. https://www.absoluteappliancesrepair.com/wp-content/uploads/2018/06/Refrigerator-Appliance-Repair.jpg 689 960 G4Bright https://www.absoluteappliancesrepair.com/wp-content/uploads/2018/10/absolute-appliances-repair-logo.png G4Bright2018-06-12 08:23:162018-10-09 22:29:34Is Your Refrigerator Using Too Much Electricity? Large home appliances are some of the most expensive items to a person’s name, right behind their car and the deed to their house. But many homeowners don’t spend much time thinking about or caring for their appliances until the damage has already been done. Suddenly, the refrigerator or the oven stops working, and the person has no idea whether they should repair or replace one of the biggest items in their home. This is a common dilemma for many homeowners. A person can save a lot of money when dealing with a broken appliance if they’re willing to do some homework. Stove: 13 to 15 years. These numbers can vary a bit based on the brand and whether the appliance has been well maintained over the years. If an appliance is getting towards the end of its lifespan, it’s probably best to have it replaced. Homeowners should also take the time to check their warranty information. If the appliance is still covered by the warranty, the person should have it repaired while they still can. Most manufacturers offer long-term warranties, so there’s a good chance that the item is still protected. Homeowners should also get in the habit of keeping a copy of their warranties in a safe place. If the appliance isn’t covered by a warranty, the homeowner should contact an appliance repair company in their area to get an estimate. If the repairs will cost around 50% of the item’s total cost, it’s best to start from scratch and buy a new one. If the person doesn’t have a lot of money when their appliance breaks down, they might have to have it repaired just to get by in the short-term. It all depends on what the person can afford. It usually makes more financial sense to replace the broken item sooner rather than later instead of spending money on intermittent repairs over the next several years. Those looking for a company that provides appliance repair in Marin should contact Absolute Appliances Repair for the best customer service in town! The possibilities when it comes to integrating convenience and appliances in today’s tech-savvy world cannot be overstated. These days, the finest ovens take cooking commands from smartphones and the top-of-the-line refrigerators can text you to pick up a dozen eggs. Every so often, manufacturers entice buyers with all kinds of new features and options for luxury kitchen appliances – some prove to be valuable and others – well, not so much. It might be hard to imagine life without your self-cleaning oven, but what about the refrigerator that has a television installed in its door? Some of the most popular new appliances are those that have features that make life a little more convenient for more than one generation. Today’s modern family often includes people spanning at least a couple of generations, and oftentimes up to three. For example, Bosch Appliances brand manager, Micaela Shaw, says that the company’s new best-sellers have features and designs that consider young hands, aging eyes, and middle-aged backs. Many control panels have larger numbers and letters that are easy to see, one of its dishwashers shines a light on the floor to relay the current status of the appliance, and one of Bosch’s ovens has a side door that eliminates the need to bend over a door to pull out that Thanksgiving turkey. Another benefit of many luxury kitchen appliances is their smaller sizes; BlueStar features a 24” oven that easily fits into tiny spaces (perfect for the adult child or in-laws in the attached suite at home) and Blomberg offers a refrigerator/freezer that, at just 22” wide, fits easily into small kitchens. “Smart” appliances that interact with you in new ways are rapidly infiltrating the scene, and they include everything from refrigerators that tell you when you are running out of an item to ranges that remind you to turn them off or clean them. Manufacturers seem to be moving along with the idea that people want to be able to connect with their appliances for everything – anything that offers a glimmer of the possibility of more convenience. Nowadays you can find refrigerators with several different doors, freezers with compartments that offer individual temperature controls, fridges that let you re-order items right from their screens, dishwashers with new bottle-washing jets built right into their top racks, and more. Do you have any luxury appliances with new, modern features that make your life easier? For Bay Area large home appliance repairs, contact Absolute Appliances Repair! Maintain Regularly: The appliances you have outdoors are no different than those inside your home; they need regular attention in order to function properly for as long as they should. If you discover a problem, be sure that you don’t wait to call an appliance repair expert; the sooner you take care of a problem, the better your chances will be of warding off even larger, more expensive issues down the road. Cover and Protect: While we really don’t have to worry about the effect weather has on our appliances indoors, the outdoors presents a different problem. You’ll want to make sure that you provide covers for your appliances, whether it be a specially designed cabinet, an overhead roof covering, or even a fabric and plastic drape. Should foul weather approach, you won’t have to worry as much about hail, debris, or the like damaging your outdoor kitchen appliances. Secure: Mother Nature is anything but predictable, so you want to make sure your appliances are secured in place to prevent them from “wandering off” one way or another. Different items require different means of securing them, so you’ll want to check the owner’s manuals or ask your appliance installer what the best ways to secure them will be. Clean: Finally, be sure that you don’t neglect to clean your outdoor appliances. Be sure that you also keep coils, cords, and other parts in good condition so that you can enjoy the very most out of your outdoor freezer, stove, cooktop, or refrigerator. Check moving parts and working parts regularly to ensure they remain in good physical shape. Should you notice anything out of the ordinary with your outdoor appliances, whether it be a cord that’s been chewed by a critter or a coil that’s been hit with the leaf blower, stay safe and be sure to contact a professional right away. 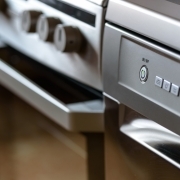 For all of your large indoor appliances, contact Absolute Appliances Repair. We’ll be happy to help you maintain and repair your kitchen appliances properly, affordably, and safely. Keep Your Dryer Lasting Longer: A clean trap helps the machine work less, so to speak. Any time you take pressure off the dryer, you’ll reduce wear and tear and keep visits from your Bay area dryer repair pro to a minimum. Dry Your Clothes Faster: The only way a dryer is able to do its job is if it has plenty of airflow. A clogged filter is going to reduce the rate of airflow, increasing the length of time needed to dry a load. Keep Your Energy Bills Down: When the lint screen is clogged with all those “fuzzies” the dryer is going to have to work harder to dry your laundry. The harder it works, of course, the more energy it uses and the higher your energy bill will be. Reduce the Risk of a Fire: High temp air is the key factor in how well your dryer does its job, and lint is highly flammable. Getting rid of this Firestarter is important to help keep your family safe from fires. Should You Really Clean the Lint Filter Each Day? With so many important reasons to clean your lint trap as often as possible, it stands to reason that cleaning it out each day – even between every single load of laundry – is ideal. Some of the newest machines on the market today have automatic reminders about checking the lint filters. Not all dryers are the same, and a lint trap might be found just inside the door, on the top corner of the dryer near the controls, or even on the dryer’s back wall inside the drum. Lint can really just be pulled right off the screen; if it’s gunked up and stuck on there, though, just soak the screen in hot water and dish soap for a bit to remove oils and grease. Let it air dry completely before putting it back into its slot. Getting into the habit of cleaning your dryer’s lint filter each day will help ward off the need for San Francisco dryer repair experts to come out and repair a dryer that’s been damaged from a lack of easy maintenance with the lint trap. For more information on maintaining your dryer or any other appliances, contact Absolute Appliances Repair today. So, you’re moving to a beautiful new home and you want to take all those hefty appliances with you. But before you load everything into the truck, you need to make sure that your appliances are ready for the big move. All that rattling around on the road can damage some of your most valuable items like the refrigerator, stove, automatic dishwasher and your washer and dryer. If you’re not careful, some of those big-ticket items might not work properly when you arrive at your new home. Protect your appliances with these moving tips from Absolute Appliance Repair, your local home appliance service company. Before you pack up the fridge, make sure that you leave it unplugged for at least 24 hours. This gives the fridge some time to defrost. As soon as it’s unplugged, throw out any perishable items and thoroughly clean all surfaces including the bottom drawers, shelves, and the walls. Make sure that you’ve removed all the water from the freezer where large chunks of ice tend to form, unless you want to unpack a fridge full of mildew. Lastly, take out the shelves and drawers and secure them separately before you load the fridge onto the truck. Just like your fridge, start by cleaning out the inside of your oven and wiping down the stovetop. Pack up and clean all the loose pieces, including the racks and knobs. Finally, you’ll need to unplug the stove from the wall. Make sure that the gas has been turned off before you try to unplug the stove. Unless you have experience installing and uninstalling your stove, you should contact the manufacturer or your local gas company for assistance or more information. To start, remove any dishes and the utensil rack. While most dishwashers are pretty good at keeping themselves clean, take a moment to examine the inside. Wipe down the sides, top and bottom if you notice any splashes or stains. Leave the door open and let the interior air dry for at least 24 hours to prevent mold and mildew. Before you remove the unit, you’ll need to disconnect the power and water supply. Unless you have direct access to the power cord, you can switch off the electrical circuit. Once the power and water have been turned off, disconnect the water supply hose, let it drain, and dry it off with a towel. Washers and dryers tend to be extremely sensitive. Before you start tinkering with either machine, contact the manufacturer or the user’s manual for detailed moving instructions. You’ll need to disconnect the hoses and pack them in a separate container. The most vulnerable part of the machine is the drum, which is usually located at the back of the washer. Make sure that you’ve secured the drum before you begin handling the machine. For all appliances, make sure that all the doors have been tapped shut. Any loose items need to be packed separately or physically tapped to the inside of the machine. Secure all power cords with a zip tie or some tape. If you have any questions along the way, contact the manufacturer or your local appliance home service company for assistance. It’s always better to be safe than sorry when dealing with such large, valuable pieces of equipment. If you discover that some of your appliances have been damaged in the move, contact Absolute Appliance Repair for all your home and kitchen appliance repair needs! First and foremost, you’ll want to clean out your refrigerator before you do anything else, because so much of your holiday fixings will go into it. As part of your refrigerator fix, get rid of old condiments, condiments that hardly have anything left in the container, and anything you know darn well no one is going to eat. (Leftovers, anyone?) Be sure to wash shelves and drawers with warm soapy water and rinse well to get rid of any bacteria and germs. You’ll want to make sure you have plenty of ice at the ready for your guests, so while you fix the refrigerator up for the holidays, turn up the ice maker settings on your freezer. Don’t have an ice maker? Not a problem – go to any store and buy an ice bin and get cubed up the old-fashioned way with ice trays. If you live in an area where the temperature is chilly, you can also keep drinks outside (in the garage, etc.) to help keep them cool. Once you get past the idea that it’s weird to clean an appliance that exists to clean, you’ll want to remove stains that can prevent your dishes from becoming truly clean. No one wants to eat off scale-ridden dishes, and no one wants to serve on them, either! Grab some specially formulated dishwasher cleanser or use lemon and vinegar to dissolve scale and freshen your appliance. Avoid disaster and the cooktop repair phone call that follows by cleaning your range, stovetop, and oven before all the cooking commences. A cooktop that isn’t clean is one that won’t function at its best, and we all know how important it is for this appliance to work properly for holiday cooking! This may not cross your mind right away with all the business of the season, but the last thing you need is a flood from a washing machine that’s leaked. Make sure there are no cracks or tears in the hoses that are in the rear of your washing machine and if there are, you can easily and quickly find new hoses and replace them. If you find that any of your appliances are in need of some attention before the holidays arrive, or if you want our experts to check them out before a problem rears its ugly head, contact Absolute Appliances Repair. We can schedule a time for us to come out and make sure your appliances are in proper, safe, efficient working order to make your holidays the best yet. Contact us today. The kitchen tends to be a hotbed of energy consumption. Large appliances such as your automatic dishwasher, refrigerator, and oven are some of the biggest energy hogs in your home, right after your air conditioner. If you’re looking to cut down on consumption, use these tips from the U.S. Department of Energy to reduce the amount of energy your home uses in the first place. Buying energy-efficient appliances is one of the best ways to reduce consumption in the long-term. Instead of adjusting your behavior on a day-by-day basis, energy-efficient appliances do most of the work for you. When shopping for appliances, look for the EnergyStar label. These products are designed to use a fraction of the energy that some older models require. When shopping for a refrigerator, look for models with a top-mounted freezer. They use anywhere from 10 – 25% less energy than side-by-side models and those with bottom-mounted freezers. Let’s face it: most people don’t have the money to buy new energy-efficient appliances. Instead of spending hundreds or even thousands of dollars at your local appliance store, you can reduce consumption by being mindful of how you use your existing appliances. The best thing that you can do for your stove is to keep it clean. Messy burners and stovetops become barriers for heat, boosting the amount of energy needed to heat up a cup of soup or boil some water. Make sure that you use pans that match the size of the burner. Using a small pan on a large burner is a massive waste of heat. Using lids and kettles instead of open pots also helps to lock in the heat. Most of the energy used to power your automatic dishwasher comes from your home’s hot water heater. Check your user manual to see if you can lower the water temperature. Try to scrape off your dishes as much as possible instead of rinsing them before you load them into your dishwasher. Make sure that your dishwasher is full and not overloaded. And, lastly, try air drying your dishes by laying them out on the counter instead of using the dry cycle. Operating 24/7, the refrigerator is a major energy hog, generally the second biggest consumer in your home. Keep an eye on the internal temperature of your unit. You should be able to control the temperature using a knob in the back. Your refrigerator should be set at around 36°F and your freezer should be at, you guessed it, 0°F. If you suspect that your internal temperature monitor is not accurate, which is often the case, fill a small glass with water and a thermometer and let it sit overnight. Compare the readings with what’s on the internal monitor. If the readings are off, the doors on your fridge might not be sealing properly. If that’s the case, it might be time to replace your fridge. You can also reduce consumption by covering liquids and wrapping foods. You should also clear away spills, crumbs and any built-up frost that might be collecting in your fridge or freezer. 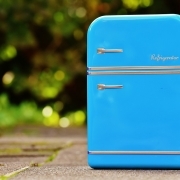 All that extra gunk is just one more thing that your refrigerator needs to keep cool. If you’ve noticed a major uptick in your utility bill, some of your appliances might be the culprit. Make sure that your large household appliances are working properly by calling Absolute Appliances Repair, your number-one choice for San Francisco Bay Area appliance repair. Cause: With an electric oven, the heating elements can wear out over time causing your oven or range to stop heating up. To find out if this is the case, simply turn on the oven and/or ranges and look to see if the heating elements are glowing red. If the elements are not glowing, or are they are just barely glowing, it’s time to replace them. Fix: To make this fix all you really need to do is order the correct part that matches your oven. Once you have that, the rest is a snap. Simply disconnect the oven from power, remove the heating element’s cover, take out the screws holding the heating element in place, exchange the old part for the new one, and screw everything back into place. Cause: If you have a gas oven, the problem could be a faulty igniter. To find out if that’s the case, test it out by setting a temperature on the oven. If you do not hear the normal clicking and ‘wooshing’ sound of the gas igniting, you should consider replacing the igniter. Fix: Replacing an igniter can involve a number of different processes depending on the model of your oven, and it is not quite as simple as replacing heating elements in an electric oven. Typically, the process requires unplugging the range, removing a few screws, disconnecting the wiring connection, inserting the new igniter, and then tightening everything back down. However, while this process can seem simple, if you have any concerns about working with gas lines or electrical components, contact a professional. Also, if your appliance is still under warranty, it might be best to seek a professional appliance repair service to ensure everything is kept up to standards. Cause: If you notice that your food is undercooked, or taking longer to cook than usual, it might be because your oven’s temperature sensor is not working properly. Fix: The first thing you should do is make sure that your temperature sensor is not touching the inside wall of your oven, as this will throw off your sensor and cause inaccurate readings. If this is happening, all you need to do is reposition it so that it’s not making contact with your oven walls. If it’s still not heating properly, you’ll probably just need to replace the sensor, which is a quick and easy fix. Cause: If the burners on your gas range won’t ignite, you could have clogged burners. This usually happens because food and liquid that spills on the burners accumulates over time and hardens into gunk, which can block the gas ports and prevent ignition. Fix: Turn off the gas supply to your range, and disconnect your appliance from power. Lift the cover off your burners, and remove the burner itself from the range. Then soak the burner in a solution made of water and household detergent, and gently clean it with a soft cloth. When the burner is clean, allow it to dry completely before replacing it and reconnecting the power and the gas supply. No matter what, make sure you always remember to unplug your appliance before you attempt any repairs. And again, if you are nervous about working with gas or electronic components, call a professional, such as the pros at Absolute Appliances Repair in San Francisco. If you can’t easily fix the problem yourself, you’re better off spending a little bit of money on the repairs than risking injury, or shelling out a big chunk of change on a whole new appliance.